Take a romantic stroll hand in hand, along untouched, powdery white beaches. The warm, mesmerizing waters wash away your footprints in the sand. As the sun sets over the magical South Pacific Ocean, you look out onto a secluded lagoon, and find yourselves in your own little corner of paradise. It’s no secret that the islands of the South Pacific are always at the top of the lists for “best tropical vacations”. Beautiful waters, pristine beaches, the perfect climate and unspoilt tropical paradise, means that this region is also regarded as one of the best honeymoon destinations in the world. Located in the South Pacific Ocean, between South America and Australia; the Austral, Gambier, Marquesas, Tuamotu and Society island archipelagos, spread out over an area roughly the size of Europe. There’s something magical about the tropical paradise islands located in the South Pacific and perhaps this is what makes them the best honeymoon destinations. The Society Islands actually receive less visitors each year than Hawaii does in a day, making it an exclusive destination for tropical vacations. For guests traveling from the USA, flight times to the Society Islands are eight hours from Los Angeles, eleven hours from Miami and thirteen hours from New York. The perfect amount of time to let yourself truly unwind before you reach paradise! South Pacific Islanders are some of the friendliest people in the world and there is no escaping their friendly, relaxed way of life. Rich with culture and history, you’ll find that locals follow the aita pea pea philosophy, which literally means “no worries”. French Polynesia is part of the Society Islands and within this group of tropical islands you will find Bora Bora, Huahine, Raiatea and Tahaa - each island paradise more stunning than the last. If you’re looking to find one of the best tropical vacations or honeymoon destinations to share with a special someone, then the breathtaking and magical islands of French Polynesia makes the perfect choice for a dream paradise escape. 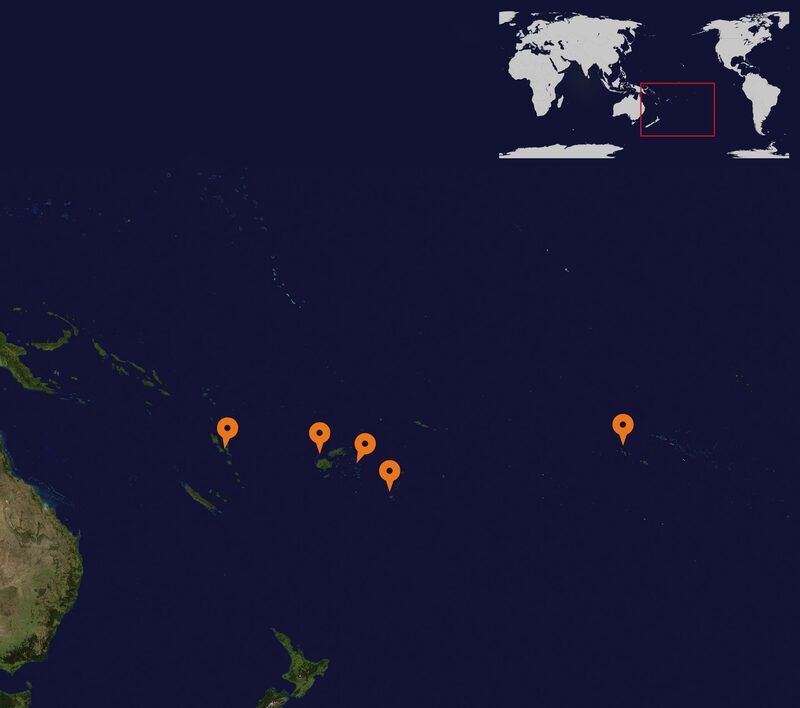 There are 53 airports in French Polynesia, and 46 are paved! Fa'a'ā International Airport is the largest airport and is situated in Tahiti. 18th century French post-impressionist artist and sculptor Paul Gauguin made Tahiti his home and the subject of much of his work. The famous over-water bungalows in Moorea were invented back in the 1960’s. The islands, famed for being some of the best tropical vacations, even have their own names. Moorea is known as the Magical Island, Tahiti as The Queen of the Pacific, whilst Bora Bora is called the Romantic Island, as its often voted as one of the world’s top honeymoon destinations! There are no poisonous snakes or insects in French Polynesia.